Brian Caster is the president and CEO of Caster Companies. He has worked in the family business for 29 years and has been leading the company for the past 15 years. 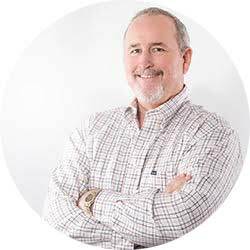 Brian and the Caster Companies team have grown the business into one of the largest privately owned family self-storage companies in America. Caster believes it’s important to give of his time, talent, and treasures. That’s why he is involved in many worthy causes in San Diego and around the world. He and his wife, Denise, have been active in the Catholic Church’s Cursillo movement in San Diego for the past 25 years. Caster sits on several boards, including Caster Family Charity; All for God, a youth outreach organization; and Nativity Prep School Development, an inner-city school.